POOL fans have been told to stop “slaughtering” Neal Eardley. 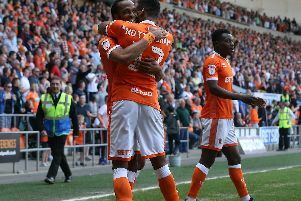 Manager Ian Holloway is aware of comments made on supporters’ websites after Eardley was omitted from the side which started the Championship campaign at Hull. Holloway says the right-back was not left out because of an ongoing wage dispute with the club but was simply a victim of the new Football League rule reducing the number of substitutes allowed from seven to five. The manager is at pains to point out that he still rates the Wales defender, who has linked up with his national squad ahead of this week’s friendly against Australia, and he wants fans to lay off him. Holloway said: “People have started slaughtering him and the fact is that he hasn’t had that good a pre-season, but I still like him as a player. “I couldn’t take him to Hull on Friday because of the new rules, so with the greatest of respect just get on with your own business. “Help me with my players and help me encourage them. “Don’t be expectant. What on earth are you expectant about? “We are humble people. We have got our feet on the ground and we are working our socks off. “The lads did that on Friday night. The fans who came to that game are real and they were fantastic. “Those people on their websites – I have never read such a lot of absolute drivel in my life. “My wife read it on the way to the game. “It is all drivel and panic. Just support your team. “We have a good team and a good club. I am really proud of it, so for God’s sake support it. Holloway also made it clear he does not like being restricted to five substitutes and hinted he may not name a replacement goalkeeper on occasions.